I wonder if there's special perks ? The blonde chick is the special perk. 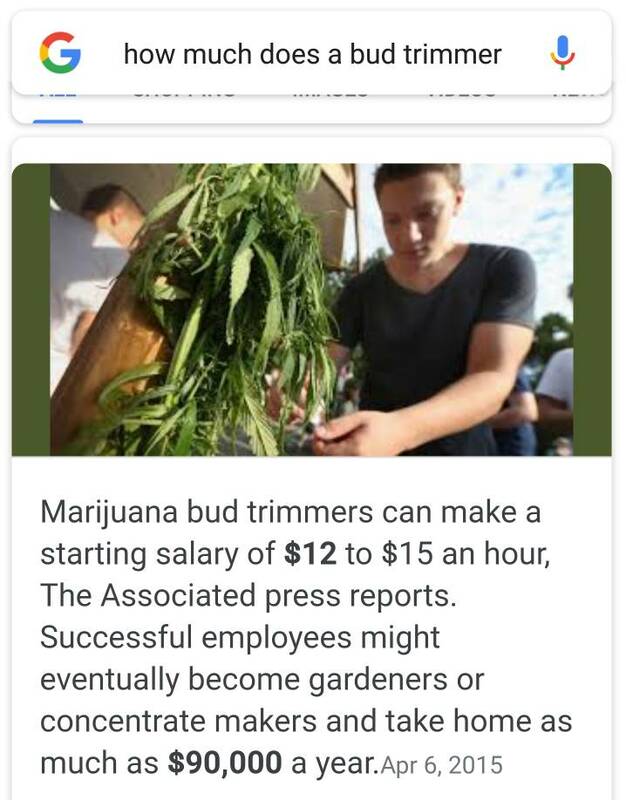 More like trimming the buds for $12/hr. Can you imagine standing there doing that all day long. Day after day. Week after week. Month after month ? Not sure even that blonde would be a big enough perk. I'm guessing climate control, and maybe door bouncer. Take a look at those guys in the photo in the original post. Those are entry level stoners. It even appears the chick works the front counter, and is there for the photo op, notice how that other stoner is guiding her on how to trim the buds. By the way . . . Entry level HVAC techs $12 - 15 bucks an hour. Successful employees might eventually bring home $90,000 per year. But not here in Colorado, LOL. Five bucks an hour, and all the dope you can smoke. And all the Snickers bars you can eat. Wonder if they need anyone in the Quality Control Dept?